Crowdfunding is when a company or organization turns to the masses or ahem, crowds, to raise money. This method of fundraising was made popular by reward based crowdfunding platforms like Kickstarter, famous for funding projects like Cards Against Humanity and Exploding Kittens. People back projects like these because they want to see them happen and they believe in the ability of creative, unique ideas to make the world a little better or in the case of these examples, a little funnier. Through crowdfunding, individuals get to be a part of something bigger than themselves and fuel their passions without quitting their jobs. The types of crowdfunding don’t stop there but we’ll focus on equity crowdfunding, the type of funding Kindara has opened in our recent campaign to allow users and FAM fans to invest. Unlike Kickstarter, equity crowdfunding will allow you to invest in companies you believe in, like Kindara. Also, instead of a reward like a game or a pair of virtual reality goggles with equity crowdfunding you get shares in the company. When you invest, you will then own part of Kindara. Neat, huh? Step 2: Choose a payment method. You can fund your investment via an ACH or wire transfer. Not sure how much to invest? Here's a guide you might find helpful. Are you excited? We are, too. But you probably have more questions, right? 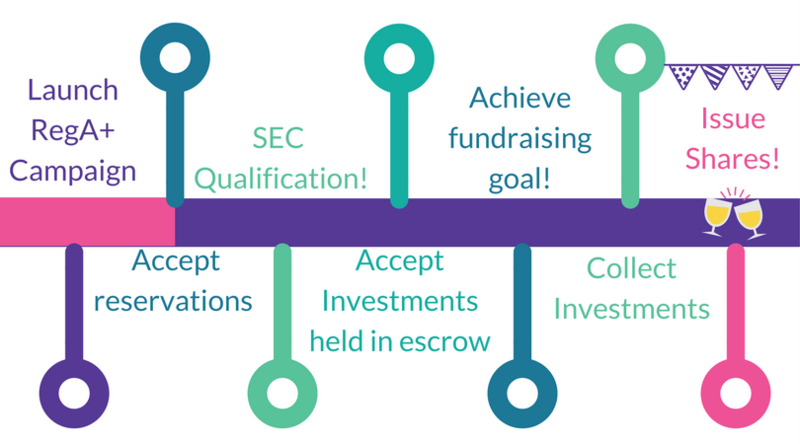 Check out our SeedInvest page for more information.